Batman is iconic, agreed! But what about his crazy righteousness issue with The Joker? In this World everyone breaks rules, so why not The Dark knight? Revisit history and you see the "Crazy" The Joker has done, Tortured Jim Gordon, Paralysed Barbara Gordon, taken innocent lives and heck, he has even "Killed" (subjective) Jason Todd; and yet Batman allows this scum to live, only waiting for "The Clown Prince of Crime" to break-free from Arkham/GCPD/Blackgate and wreak more havoc in the lives of the mundane citizens of Gotham. Its sickening to see the type of atrocity Bruce Wayne sees his closest allies go through, but not break his "one rule" (no killing) for even a crazy like Mr J. 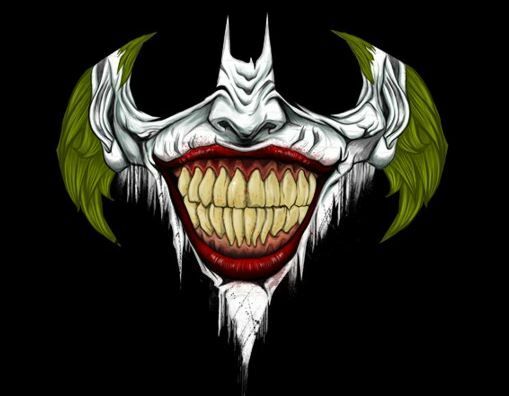 Maybe, just maybe the Joker actually validates the existence of Batman, and in his hunger of feeding his (Batman) own ego, he keeps The Joker alive and breathing. Batman may be the biggest and most idolised Superhero of all time, but regardless of that, Bruce Wayne has some serious "CRAZY" issues of his own.